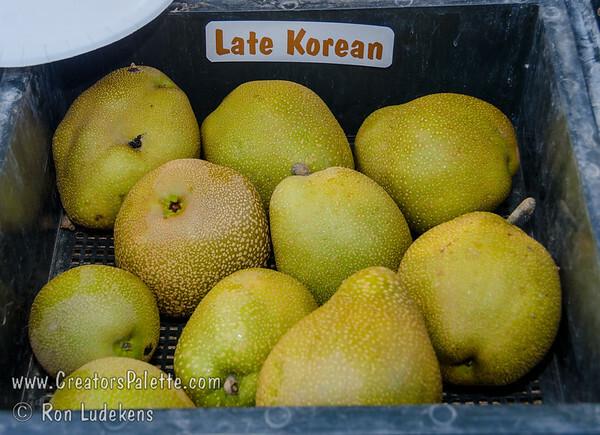 Kim Brothers at Reedley Nursery brought in their Korean Pear in the late 1940’s or early 50’s. Reedley Nursery was a commercial grower of fruit trees. My production manager/partner was their production manager during the 40’s and 50’s. We worked together in 1957 when he owned Gateway Nursery and grew shade trees. The Gateway Nursery was merged into the L. E. Cooke Co in 1960 and George Daniels brought with him several varieties of fruit trees. We ended up with an early, mid, and late Korean Pear. None were their true name. The early and mid Korean pears did not impress me but I liked the large size of the Late Korean and the resistance to fire blight. I learned later it was Bansankichi and now told it is the same as Okusankichi and a Japanese pear. Our late Korean Pear is very large, round, and heavy. The skin is green to tan russet and a thick skin. Flesh is white, slightly refreshing tart, firm, coarse, crisp, and juicy. The fruit stores well after picking. The flavor improves with storage. The fruit ripens in late August to early October. This is a six week pear and holds well on the tree. This is a L. E. Cooke Co introduction into the retail trade. 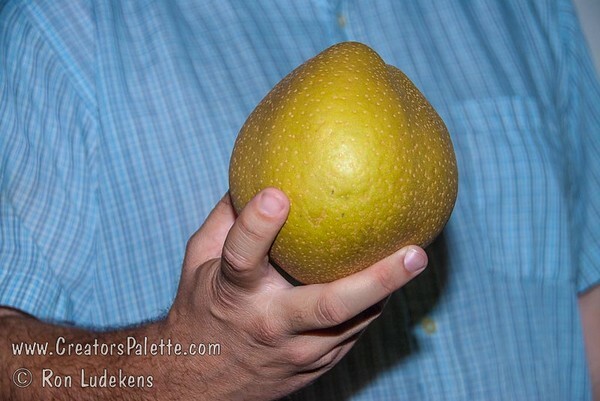 Listed as a 600 hour pear but has not been truly tested in mild winter areas.